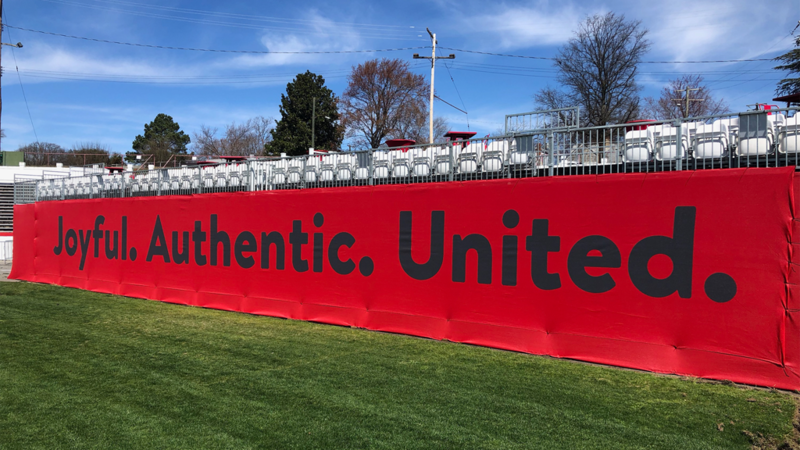 RICHMOND, Va. – (Friday, March 29, 2019) – The Richmond Kickers launch their 27th season this weekend at City Stadium, featuring new upgrades and hospitality areas in the nearly century old stadium. The Kickers would like to thank E.J. Wade Construction, HKS Architects and Draper Aden Associates for all of the work they have put into making the improvements at City Stadium. Plus on Saturday’s March 30 home opener, you can enjoy new vendors such as New Kent Winery and Gelati Celesti, along with our returning partners such as Premium Distributors (beer), Papa John's, Sticks, Four Brothers, and Dippin' Dots. Questions regarding City Stadium including interest in hosting events, becoming a vendor or sponsorship, please contact Scott McGuire at smcguire@richmondkickers.com.